All trussed up with no place to go? Let The Butcher carve up your dessert at The Ochre House. Matt Posey’s latest creation, billed as a dark musical, is actually a porcine lullaby souffle, equal parts black Irish menace and Brechtian decay, where the stench of maggot-ridden evil drips from every meat-hook and lurks behind sweet-scented, mournful ballads. Badly aging rockers and labored 80’s movie spins may dominate Dallas’ big stages with union orchestras, spandex-swathed dance routines and the latest flashy computerized sound and light effect overload, but they still leave you wondering “where’s the beef?” Find it roasting in a tiny toaster oven of a space at 825 Exposition, just down from the Amsterdam Bar. Matt Posey and his reg’lars – Elizabeth Evans, Kevin Grammer (who just had a birthday), Justin Locklear, Mitchell Parrack and Ross Mackey – conspire to weave a memorably haunting tale of grim survival and deception, Black Irish-style, on their 10 x 12 performance space, where atmospheric spot-lighting comes from hand held flashlights and actors, themselves, move set pieces and props. Kevin Grammer doubles with ease as a doomed Scottish meat inspector in highland kilt and the voice and meister of a full-sized, belly-split pig puppet, the prime catalyst of the show’s chain of events and macabre font of bloody humor. 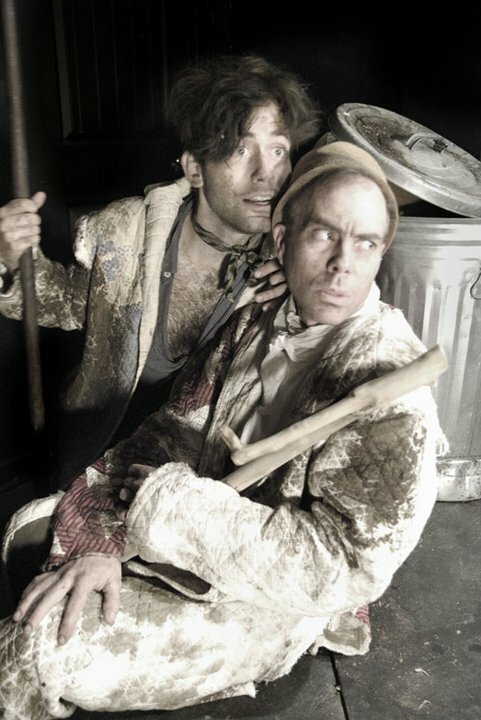 Posey plays the butcher as a sharp shank of a mean-spirited cheapskate and wife abuser, a “realist” who finds himself drawn into absurd conversation with the erstwhile dead, purloined pig. Evans portrays his long-suffering slattern of a wife with dark shadows crayoned deep under her eyes, giving plaintive voice through song to a soul in torment, desperate to escape. Locklear and Parrack play seedy, opportunistic blind brothers named Castor and Pollux, very loosely based on the Greco-Roman Gemini twins, sons of Leda, sometimes depicted as immortal, sometimes not. Who knows from what creative mist Posey distills inspiration for his ‘immorality plays’ such as this one; grotesque, bawdy, full of impending doom, savagery and suspense. There is no other live theater venue quite like it in the region. It’s raw and captivating. A real spectacle. 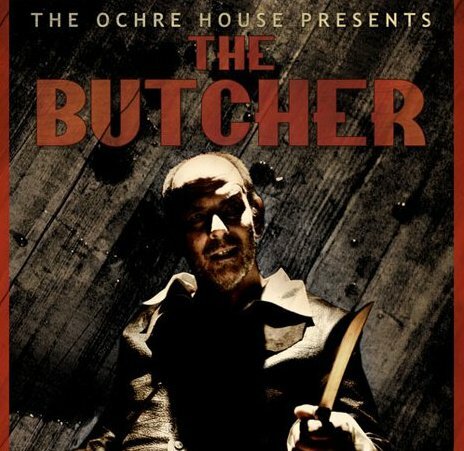 The Butcher runs through June 4, 2011 at 825 Exposition Avenue.